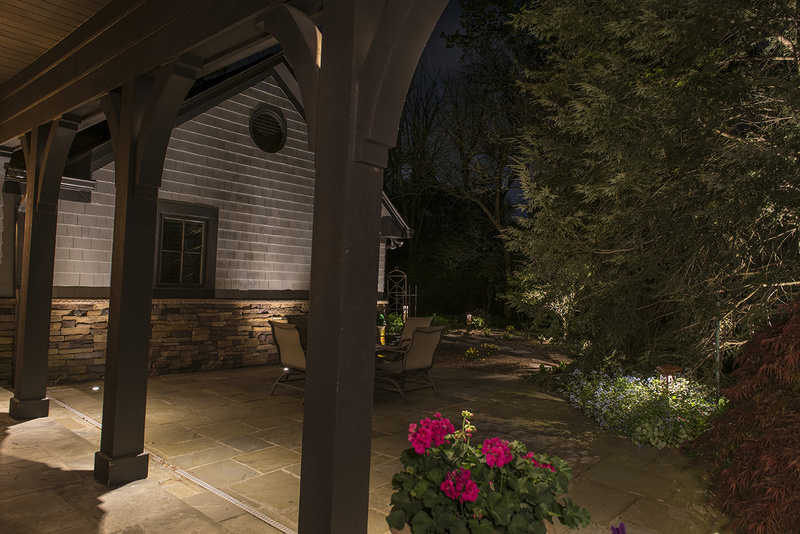 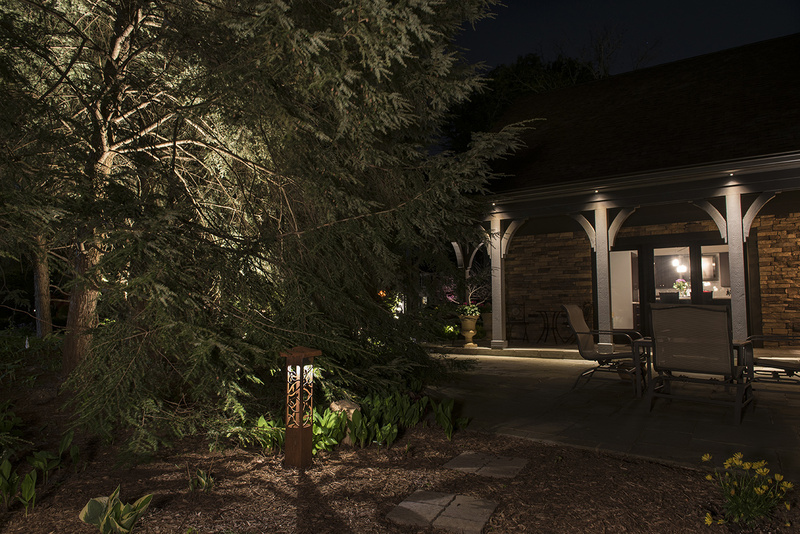 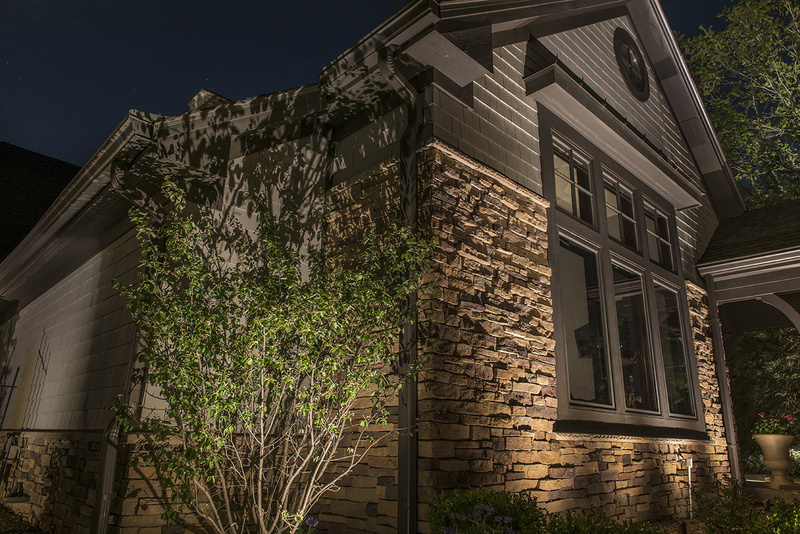 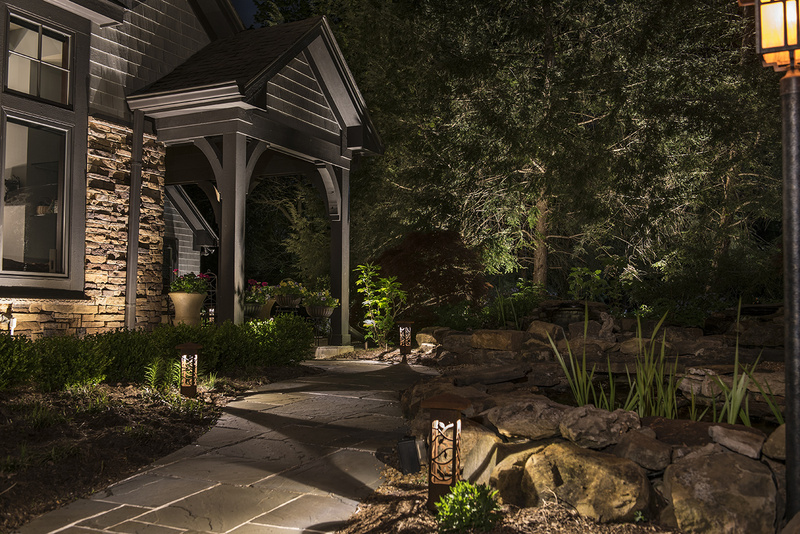  This interesting home illuminated by Lighthouse Outdoor Lighting of Charlotte, features a mixture of wood and stone details that give the home a warm, cottage feel in the middle of the city. 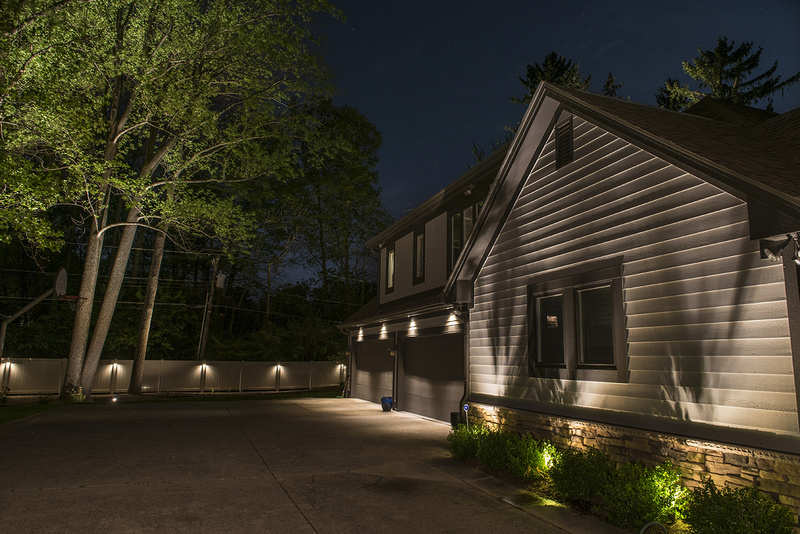 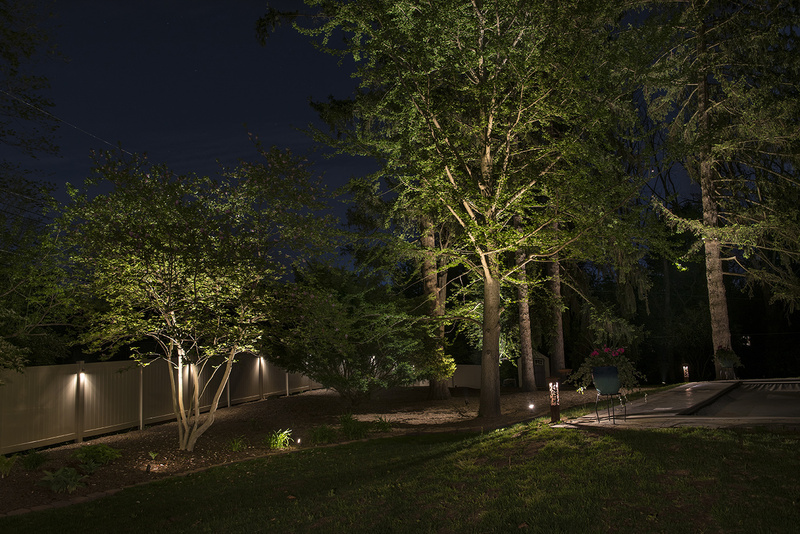 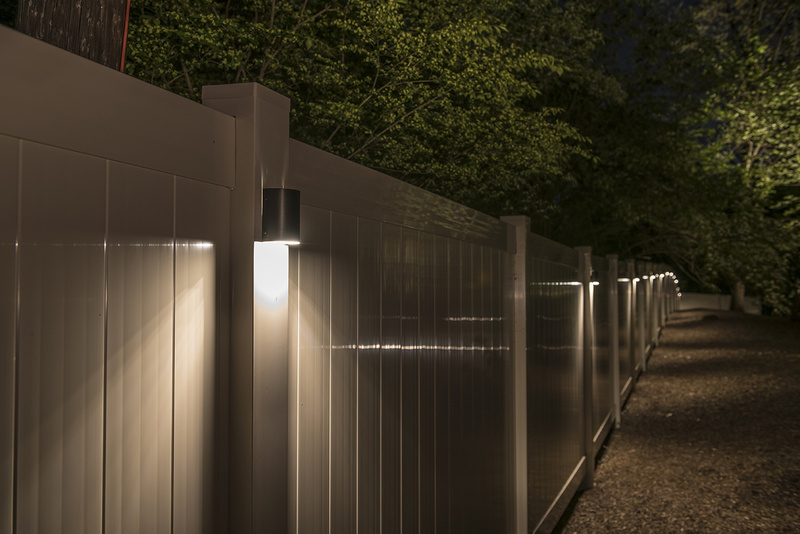 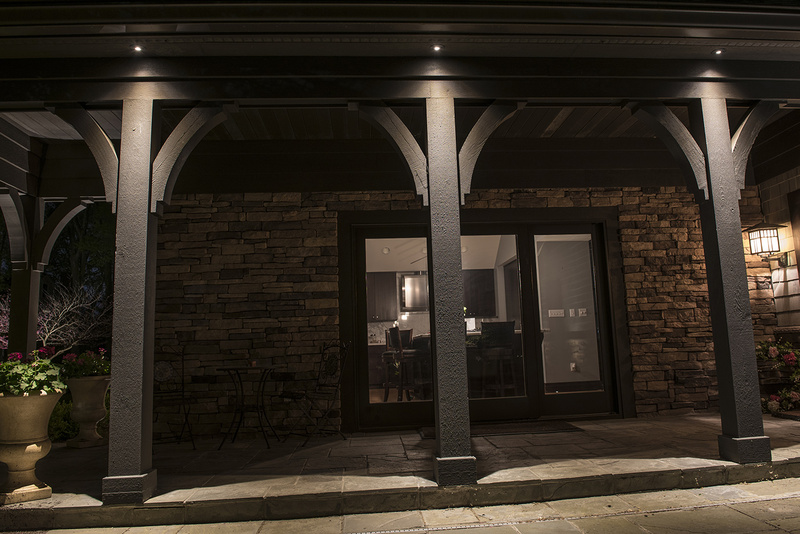 Gentle up lighting was applied to the exterior walls, columns, and peaks of this home to show off its charm after dark and welcome the owners home at night. 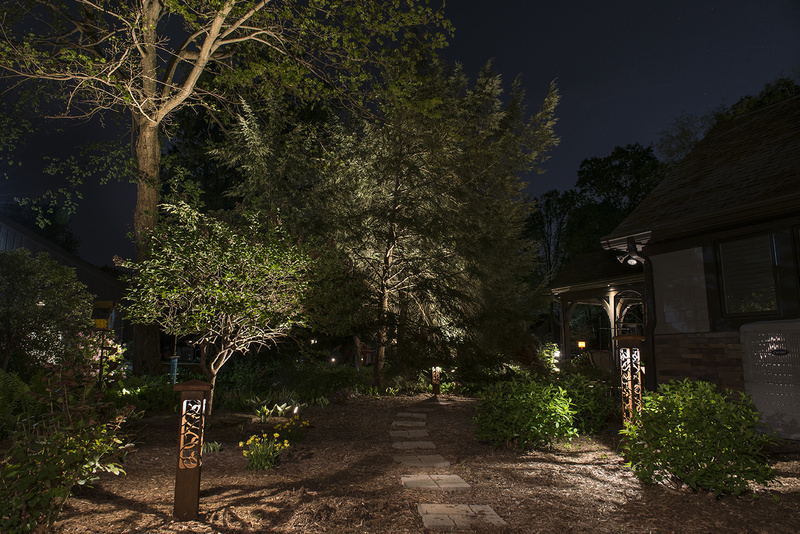 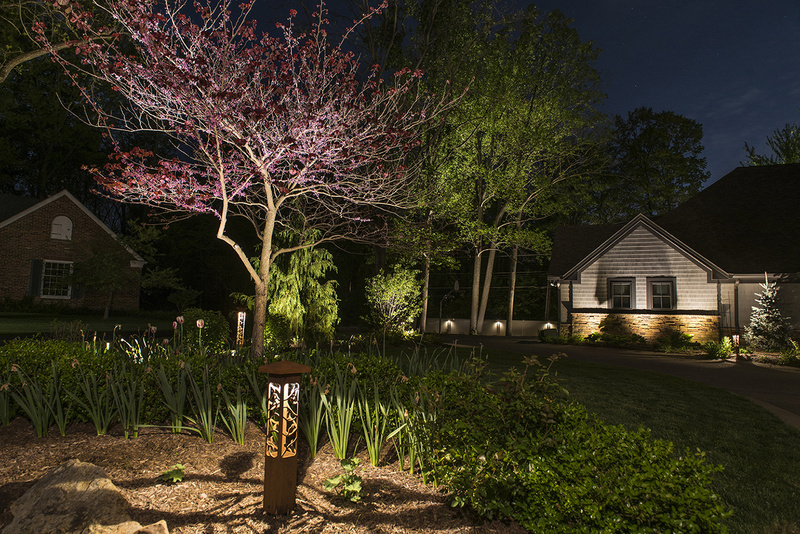 Directional up lights were designed into this landscape to add visual height and framing of the home, while other details such as our Nightscaping® 4×4 decorative steel bollards and path lights adorn the walkways and flower beds to add a unique flair to the gardens and landscaping.